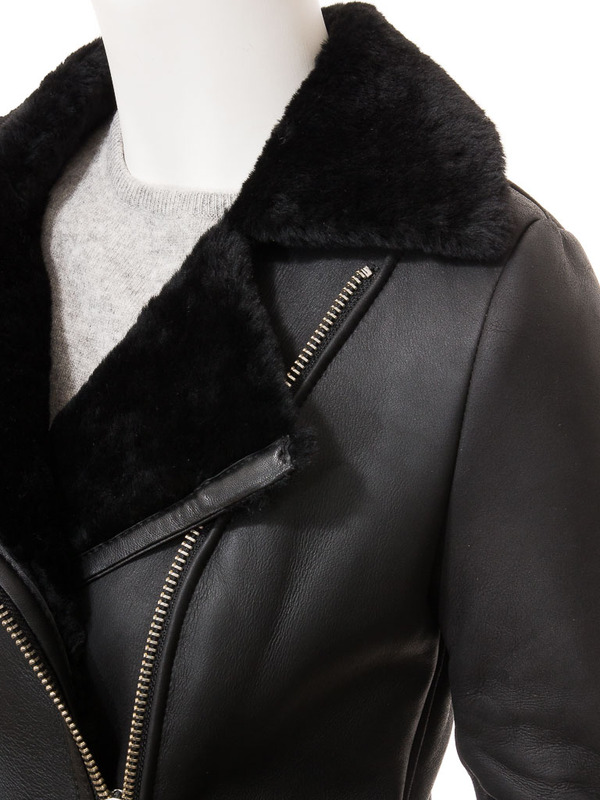 An ultra-lux black biker jacket crafted from shearling sheepskin. 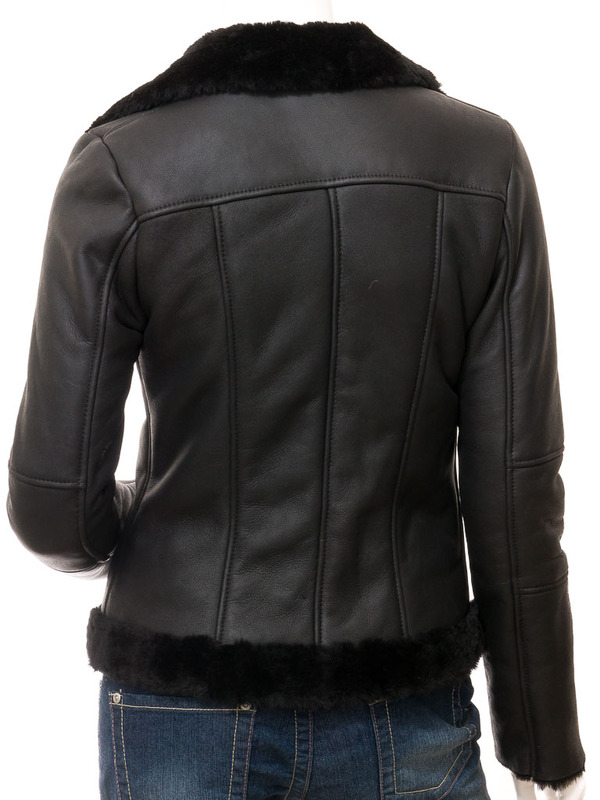 There is a zipped pocket at the waist and zipped gauntlet cuffs to allow a thick glove to be tucked inside the sleeves. 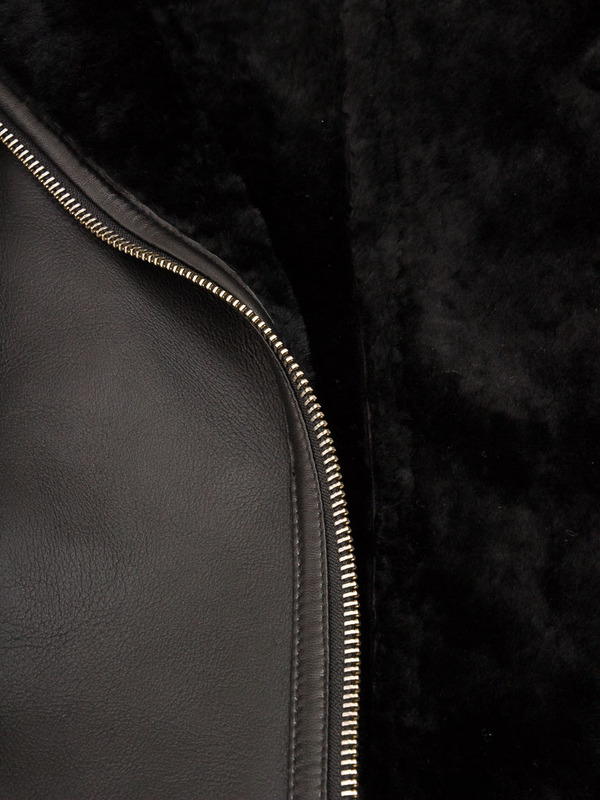 Like all genuine sheepskin jackets, the interior is formed from the silky woollen fleece side of the skin. 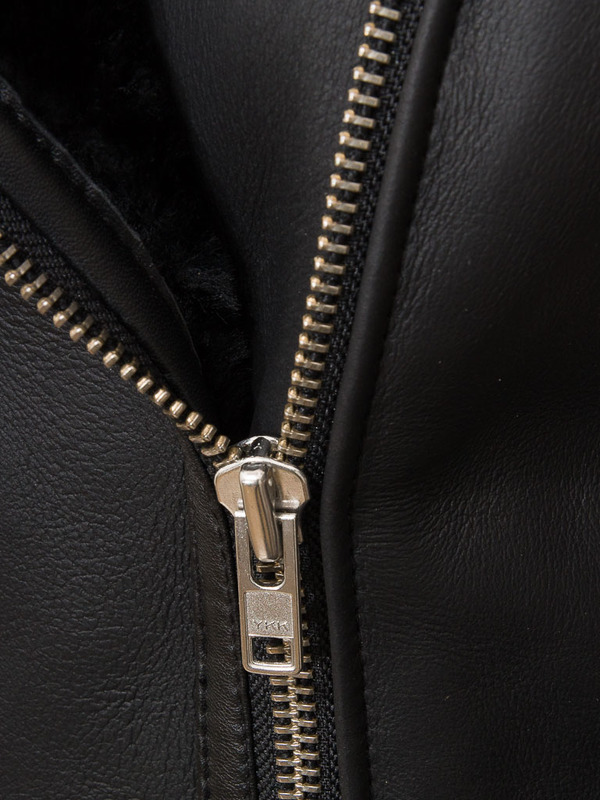 The underside of the skin then forms the tough weatherproof exterior of the jacket.